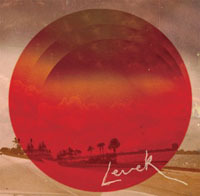 Levek’s “Look on the Bright Side,” in its elusive three minutes, shimmers through chamber-pop and What’s Going On-era Marvin Gaye turned lonely (and oddly modern) by the distance of lo-fi. Take note, chill wavers: time to learn some more instruments. The emerging musician’s other recordings range from tape-hiss folk weirdness to spooky crate-digging; where he goes from here is anyone’s guess, but the future looks bright.